Take Rt. 27/Sunrise Highway to exit 56 South, make a left at the light and continue south crossing over Montauk Highway. Make first left after railroad tracks onto Beaver Dam Road. 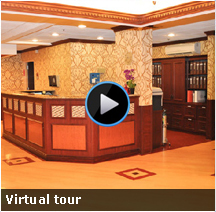 Bellhaven Center for Rehabilitation & Nursing Care is a quarter mile down the road on the right hand side. Take the LIE/I-495 West to exit 65 Horse Block Road. Make the first left from the service road onto Horse Block Road and continue approximately 1 mile. Turn right at Station Road, continue south (approximately 2.9 miles) crossing over Montauk Highway. Make first left after railroad tracks onto Beaver Dam Road. Bellhaven Center for Rehabilitation & Nursing Care is a quarter mile down the road on the right hand side. Take Rt. 27/Sunrise Highway to exit 56 South- make a right at the light and continue south crossing over Montauk Highway. Make first left after railroad tracks onto Beaver Dam Road. Bellhaven Center for Rehabilitation & Nursing Care is a quarter mile down the road on the right hand side. Take the LIE/I-495 East to exit 65 Horse Block Road. Make the first right from the service road onto Horse Block Road and continue approximately 1 mile. Turn right at Station Road, continue south (approximately 2.9 miles) crossing over Montauk Highway. Make first left after railroad tracks onto Beaver Dam Road. 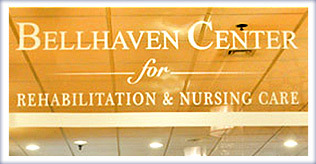 Bellhaven Center for Rehabilitation & Nursing Care is a quarter mile down the road on the right hand side.